MTV has a TV problem. Its core demo of teens and young adults is watching less TV than ever before, which is why the Viacom-owned network has cooked up an elaborate social game for Sunday's Video Music Awards. The goal is to steer the bulk of the chatter about the Miley Cyrus-hosted show onto platforms like Twitter and Snapchat where millennials already are. 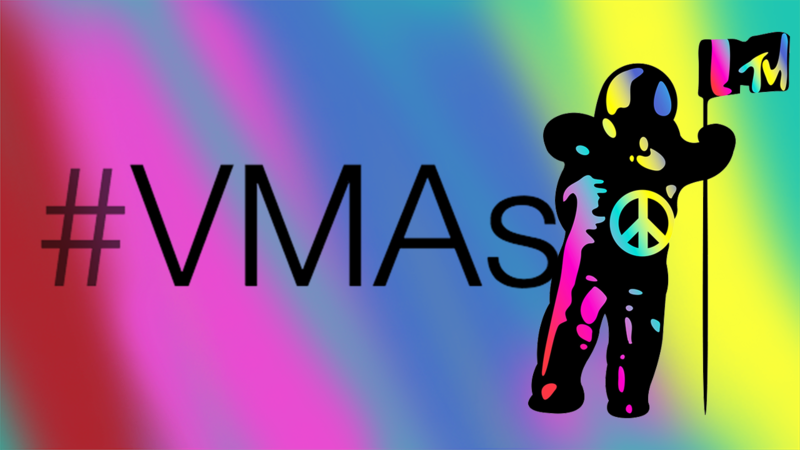 "Whatever platform they're viewing it on, we're going to capture them with content that's associated with the sponsor and with the VMAs," said Jeff Lucas, head of sales at Viacom. Twenty-four brands have signed on to sponsor what MTV calls the "millennial Super Bowl." Eight of those marketers—including Taco Bell, CoverGirl, Verizon, Pepsi and Trojan—are working with Twitter's Amplify program to work real-time tweets, ads and, for the first time, branded Periscopes, into the chatter about the show. It's the most advertisers a single Twitter Amplify event has ever had, up from three for 2014's VMAs. "This is Viacom's third consecutive VMAs run through Twitter Amplify," said Glenn Brown, Twitter's head of content and partnerships. "As always, we anticipate it will be among the top most-talked-about events of the year." On Periscope, MTV will push out a livestream from a Taco Bell-sponsored pre-show concert Saturday night. The teams will film backstage interviews and Q&A sessions with bands like Walk the Moon. The livestream will be wrapped with six-second pre-roll ads and sponsored messaging from Taco Bell. It will also be boosted with Promoted Tweets on Twitter. "We're taking it to the next level," said Juliet Corsinita, vp of media and brand partnerships at Taco Bell. "These platforms are hugely embraced by our target audience, and [it's] a great way for the brand to reach out to them." Meanwhile, Verizon has actress Vanessa Hudgens hosting its livestream, which will include the actress walking the red carpet and backstage happenings. Similar to Taco Bell, Verizon will also buy Twitter ads to get people to tune in. Like most live events, the goal of co-creating content is to cut through the clutter with creative and targeted social posts crafted on the fly. Pepsi's director of media, Katie Haniffy, hinted at what her company has planned by pointing to its campaign last year that pushed out an unreleased Usher song to Twitter after the singer performed during the show. "This year, we're upping the ante with even more content to bring Pepsi fans closer to the artists they love at one of the biggest pop culture moments of summer," she said. In addition to Twitter, Viacom also has a partnership with Snapchat for Sunday's event. A VMA-themed Live Story will run with four brands—CoverGirl, Verizon, Taco Bell and American Legacy—and be woven into the stream of user-generated photos and videos. A rep for P&G's CoverGirl said the brand plans to direct the conversation from Twitter to Snapchat where it has created content with influencers. Regardless of which platforms brands choose, Viacom's Lucas credits Velocity Product Group—a division within the network's ad sales team launched earlier this month—for orchestrating this weekend's social push. The team works with advertisers to create content across multiple platforms during live events. Lucas said "hundreds" of people are involved in cranking out social content for this weekend's events. "That has given us a lot more lead time and a dedicated group to sell through these types of sponsorships to individual clients," he said.